In my May 2018 Monthly Income Report, we’re looking back on what worked, what didn’t, what lessons we can learn and how we can best move forward to achieve our dreams. I’ll also share my business strategy and tips that helped me earn $13,143+ blogging in one month. I know this might seem a little crazy to you–or perhaps you’re just here for the food (might I recommend this superfood strawberry chocolate oatmeal to hold you over), but let me explain. Before we get into the details, I also wanted to share my traffic totals for May. Hourly Rate: I worked on the blog for a total of 40 hours in May (that’s right…the 4-hour Work Week is a real thing). With a gross income of $13,143.92, that means I earned roughly $328 per hour. Not too shabby! If you look at my net income instead, my hourly rate drops to about $156/hour, which is above my goal of $100 per hour. This is super exciting, as it’s the first month this year that I’ve been above my goal! Maximizing Output by Minimizing Input: Not only did I take a few vacations in May, but I started reading two really powerful books: The 4-Hour Work Week and Essentialism: The Disciplined Pursuit of Less, both of which really focus on how to do more by actually doing less. This has been a big theme of mine over the last year and a half, both in my personal life for anxiety reasons, and in my business. It was really amazing to me to see that this month I worked less hours than any other month this year, and yet my income was the highest it’s been. It can be hard to figure out exactly what tasks move the needle the most, but I spent a lot of time in May thinking about this concept and essentially getting rid of the many trivial tasks that fill up my day in favor of focusing on only those that truly make an impact in my business. And spending the leftover time doing things just for me and my family, like going to the beach, reading, doing crossword puzzles, gardening, walking my pup, decorating our house, and spending time with friends and family. So which tasks make the biggest impact: writing blog posts, email marketing, SEO, Pinterest. Which tasks are we cutting back on, if not getting rid of all together: social media, comment pods and share threads, one-off sponsors. This has been especially important as I’m planning my maternity leave for the Fall. And this month was really reassuring to see that it’s possible for me to work less than 10 hours per week and still make this kind of income. Affiliate Emails: Speaking of which tasks move the needle most, my email list is easily at the top of that list. And my assistant and I spent a lot of May planning our email edit calendar for the next few months and writing and scheduling those emails in advance. 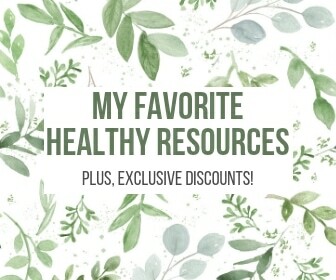 We worked a lot on our Favorite Finds affiliate emails that go out every Tuesday, but we also spent a good chunk of time updating our email sequences with new affiliates and helpful content for our subscribers. We’ve also started really analyzing the programs we’re in to see which ones resonate most with our readers, result in the most clicks, the most sales and the most income for us. Moving forward, this will help us to really hone in on the most successful affiliates and spend less time promoting those that don’t provide enough of an ROI. This takes some trial and error, so it’s an experiment we’ll be testing out over the Summer, but one that we’ve already gotten some answers to. For example, we’re an affiliate for a bone broth company that we’ve promoted pretty heavily through emails, blog posts and social media this past year. So far, we’ve sent 681 potential customers to their site. But only 23 have purchased anything. That’s a conversion rate of just 3%, which might be okay if the commissions were great. But unfortunately, we only earn a 20% commission on sales and most sales are less than $40. So this means we’re only earning roughly $8 per sale. Compare that to a meat delivery service we’re an affiliate for: so far, we’ve sent 9,182 potential customers to their site (first, this shows that our audience is more interested in this product). Then, we generated 333 sales, which is a conversion rate of 3.6%…so it’s not that much more than the bone broth, however, we earn $35 for every sale (compared to roughly $8). So this has a much better payout for us and makes it more worth our time to promote a product like this than a product where we don’t earn much per sale. Does that make sense? I know that was a lot of info and numbers. I’m actually working on an affiliate post now and will have a big section on affiliate marketing in my upcoming course, so if you have any questions about affiliate marketing, please leave them in the comments below so I can include answers in our content! Ads: I’ve heard time and time again that you should spend at least the same amount of time promoting your content as you did creating it, if not more. This is something I’ve been wanting to change for a long time, but often feel stuck on what the best ways to promote are and whether it’s organically or paid, like with ads. I’ve experimented with ads a little bit, but would like to really hone this strategy as I know a lot of bloggers have success with Facebook and Pinterest ads. As some of you may remember from previous income reports, I have been playing around with Outbrain ads, which are basically in-content ads on other sites that promote your content. On the one hand, this has been a great strategy for increasing pageviews, but on the other hand the ROI just hasn’t been there. 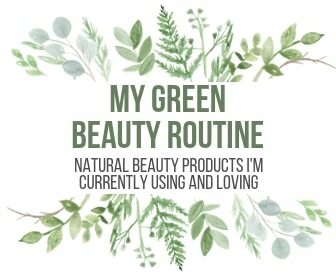 Those visitors spend less than 15 seconds on R+R, they don’t sign up for my email list or purchase any of my products, and they rarely visit more than 1 page. I’ve been trying to calculate whether the impressions on ads they’re providing are enough to offset the cost of driving the traffic, but so far, I don’t think it has been. And really, it’s been more of a vanity pursuit of making me feel good about having higher pageviews, a surface level success. But when you really look into it, it’s not doing much for my bottom line. So I either need to tweak or stop running these ads moving forward. Miscellaneous: This is sort of a cop-out answer, but I feel like I’ve been really repetitive this year in my goals so I’m just going to summarize some ongoing strategies here: getting ahead on our content, launching my blogging business course, spending time on education with B-School and other relevant books, continuing to hone our affiliate strategy, only working with long-term sponsors and working smarter, not harder. So I basically answered this questions throughout this post, but to reiterate, my answer is yes and no. No I am not using facebook ads for affiliate marketing. But I do use organic social media for affiliates. Are people clicking through your affiliate links to begin with, showing you they’re interested in the product? What is the conversion rate? What could you do to boost sales, instill more confidence in your readers that they would benefit from buying this product? Are you authentically integrating affiliate links into your content in a genuine way or are you slapping dozens of links all over your site with no real context or purpose? How do you incorporate affiliate links into your content? Is it just through blog posts? Do you promote to your email list? Do you share on your social channels? Paid ads might be a good strategy, but you’d have to earn more from the commission than you spent on the ad, and it’s going to cut into your bottom line. So it’s definitely oging to be an experiment of trial and error to figure out what works and what doesn’t. I hope that helps! Please know, I am keenly aware that I have the flexibility, freedom and finances to work on this blog as my full-time job because of YOU–dear reader, sharer, Pinner, commenter, Liker, customer or silent follower of Root + Revel. Your support and participation in the R+R community reaches beyond just this website. 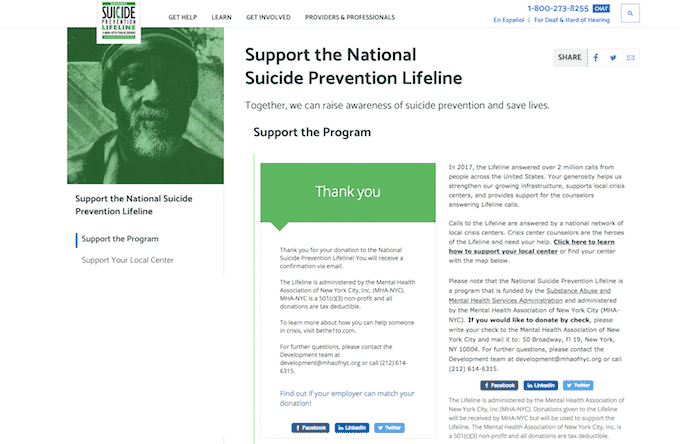 This month, I donated to the National Suicide Prevention Lifeline in your name. My cousin committed suicide a few years ago, and with the recent news of Kate Spade and Anthony Bourdain, I felt compelled to do something for this cause, as I know personally how absolutely devastating it can be to lose a loved one this way. Join me, won’t you? Thank you SO much for being transparent and posting all of this info! Super helpful. I do have a couple of questions: how did your audience respond/when did you start finding success in the early days of affiliate emails? I just started affiliate emails and so far haven’t had success, but not ready to give up. 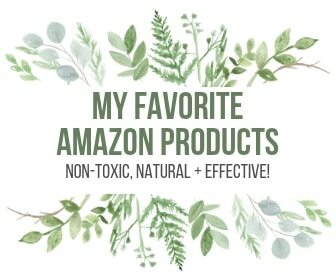 I truly believe in the product(s! Also, much time does your assistant spend reaching out to potential brands for sponsorships? (or do they come to you?) Thank you thank you thank you for your help! Hey Christine! 🙂 Definitely don’t give up! I think an important thing is to give your audience the option to opt-out of your affiliate emails, but stay opted-in to the rest of your list. That way, the people who really don’t like it have an out, without sacrificing them as a reader who you can continue to give value to. That’s what we’ve done and I’ve only seen our income increase since we started doing dedicated promos back in March. Re: your question on sponsors, it really just depends. Right now we’re booked for the rest of the year, so she’s not spending any time reaching out to new sponsors. However, these days I’m open to a lot more trade than I used to be, especially with my baby boy on the way! So she’s been spending a few hours a month reaching out to maternity and baby brands for trade and we’ve had a lot of success there. Hope that helps! 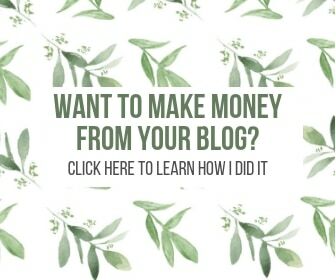 Thanks so much for posting your income report~ I have been wanting to start my own food blog for awhile & I actually heard you on Food Blogger Pro’s podcast. You stated that “ if other people can do it I can too.” I actually enrolled in Food Blogger Pro because of your encouraging words! So happy for you that Root +Revel is so successful! Wow! That is so amazing Heidi–thank you for stopping by and letting me know! Honored to be your cheerleader. 😉 GOOD LUCK!! I really like the flow of your website: I truly think it is important to have an appealing site so that, when people actually reach it, they won’t be turned off by its complexity. As a new blogger, what would you recommend for me to have a better website flow? Also, do you have a resource available to increase one’s website traffic? And last question: how do you go about setting realistic and achievable goals on a monthly basis, especially when you started and had little to no income from your blog? Thank you for your time and for sharing this income report with us!